There’s no place like home for this week’s #BookFaceFriday! From two-time Newbery Medalist Kate DiCamillo comes a story of discovering who you are—and deciding who you want to be. “Louisiana’s Way Home” by Kate DiCamillo (Candlewick, 2018) is available in audiobook and Ebook to all Nebraska OverDrive Libraries! 173 libraries across the state share this collection of 12,407 audiobooks and 24,143 eBooks, with new titles added weekly. If you’re a part of it, let your users know about this brand new title, and if you’re not a member yet, find more information about participating in Nebraska Overdrive Libraries! 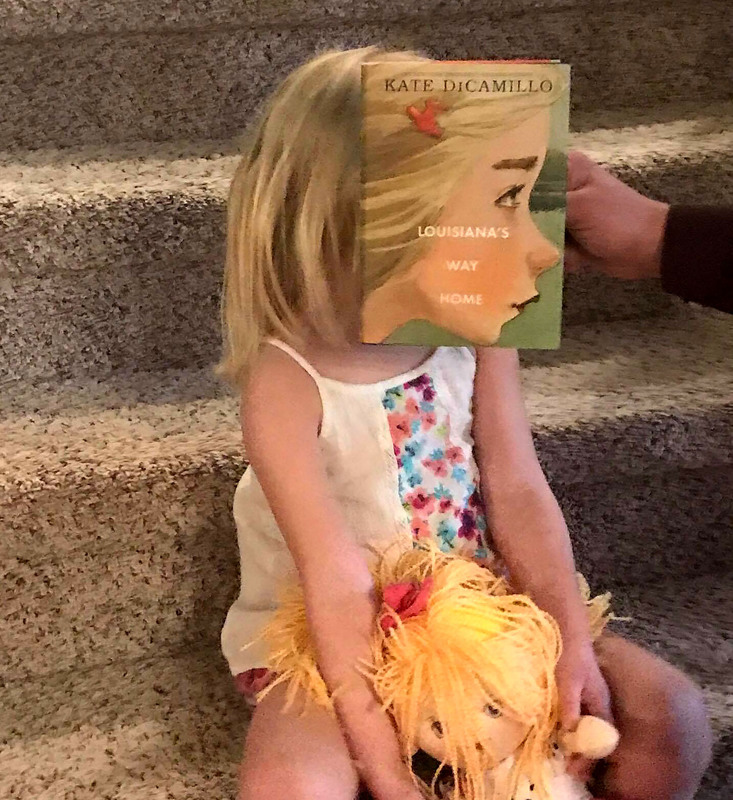 This week’s #BookFaceFriday model is full of sugar and spice, and hates sitting still! So we’re lucky her mom was able to get this mover and shaker to pause for a second. Ms. Margot is the daughter of our Information Services Librarian, Aimee Owen! She and her family get all the credit for this week’s #BookFace photo! Love this #BookFace & reading? We suggest checking out all the titles available at Nebraska OverDrive Libraries. Check out our past #BookFaceFriday photos on the Nebraska Library Commission’s Facebook page!